There are many reasons why people are overweight, but, in almost all cases, the excess fat has accumulated (sometimes over many years) as a result of insufficient physical exercise, combined with sub-optimal nutritional habits. Although you probably knew this already, it is essential that you truly accept this as a simple fact if you want to successfully lose weight and/or achieve a new body shape. You do not need to starve yourself on an unsustainable restrictive diet. To be successful you should eat the foods that you enjoy eating, but be realistic about your portion sizes. I will help you devise an approach to eating, based on YOUR food choices, which will enable you to eat a healthy balance of the foods you enjoy AND achieve a gradual reduction in body fat. You do not need to train like an Olympic athlete to be slim. My role is to guide you through exercise sessions that are appropriate for your current physical condition and designed to best meet your objectives. If you can commit to regular sessions (timed to fit in with your schedule), then I will help you achieve your desired weight, as well as many other health benefits that regular exercise can bring. Whether you need to lose 10 stone or 10 pounds, YOU CAN DO IT! All I ask is that you come to me with a desire to succeed, a willingness to make some small changes to your lifestyle, and some patience to allow enough time for your body to develop towards your goal. 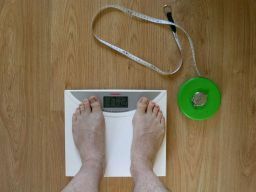 With my help, you will be able to follow a realistic weight loss strategy, designed by you, for you. When you have achieved your desired weight, the glory will be yours and you can be proud in the knowledge that you have made a positive change to your body and your health.